Hey friends! Today I’m sharing my first major furniture painting project. 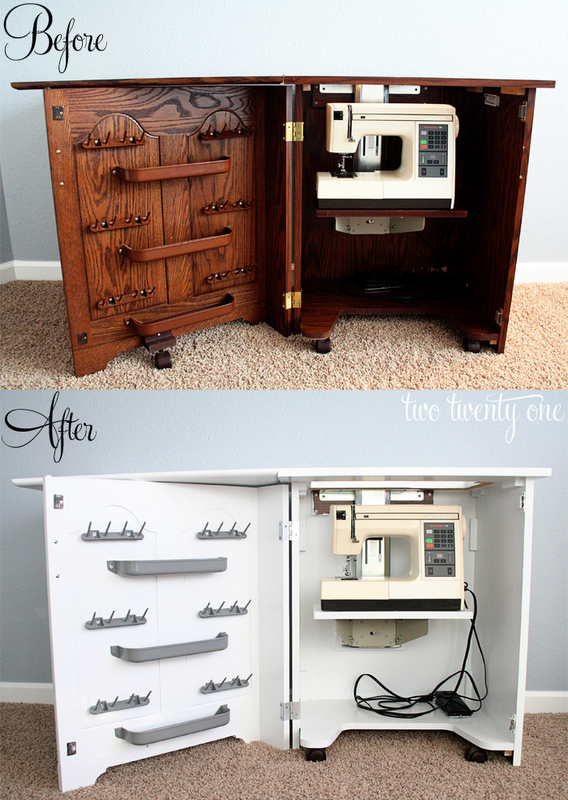 This project was near and dear to my heart because it’s my late Grandma Mildred’s sewing machine cabinet. She willed it to me before passing away the morning of our wedding day. While I loved the cabinet, it needed a bit of a face lift. And I LOVE how it turned out. Let me just say that I have a greater appreciation for all you furniture painters out there. This project took me ten times longer than I thought it would. You definitely won’t catch me saying that it was so easy I could have painted it blindfolded with my hands tied behind my back. 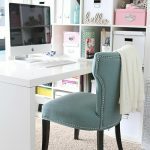 Kate’s tutorial on how to paint laminate furniture helped me get the job done. First, I primed the cabinet with Zinsser primer. I added Penetrol, an additive that minimizes brush strokes, to the primer. Then, I painted it with Valspar’s ultra white semi-gloss latex paint with some Floetrol mixed in (an additive for latex paint that helps minimize brush strokes). The grey detail color is Valspar’s Porch Grey with Floetrol. Penetrol and Floetrol are awesome. I highly recommend using them. After all the painting was done, I put on a few coats of Minwax’s Polycrylic. I swapped out the brass handle for a brushed nickel one, and I primed and spray painted the hinges silver. The storage fixtures on the inside of the door were primed with Rust-Oleom and spray painted with Krylon’s Classic Gray (gloss). My grandma also willed her sewing supplies to me. 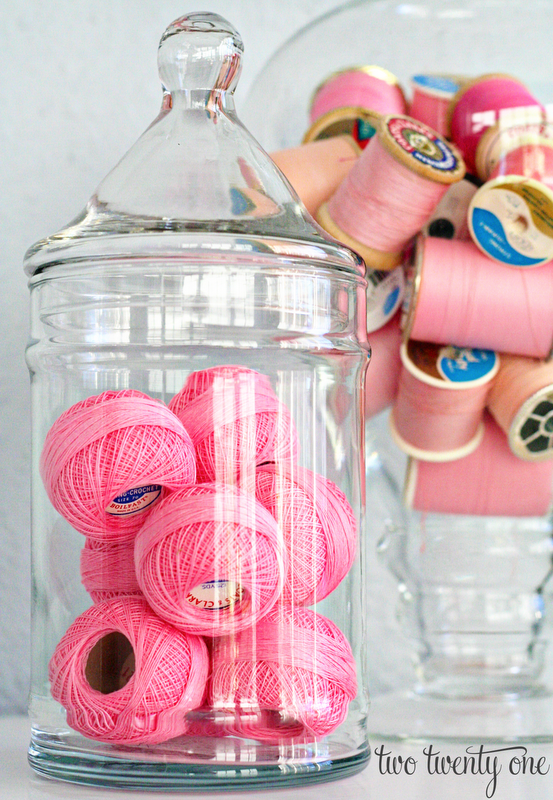 The pink spools in the big apothecary jar were hers. I found the vintage tatting threads in the smaller jar at a thrift shop for $2. The “Keep Calm and Sew On” print was something I found online. I edited it in Photoshop to clean it up a bit. 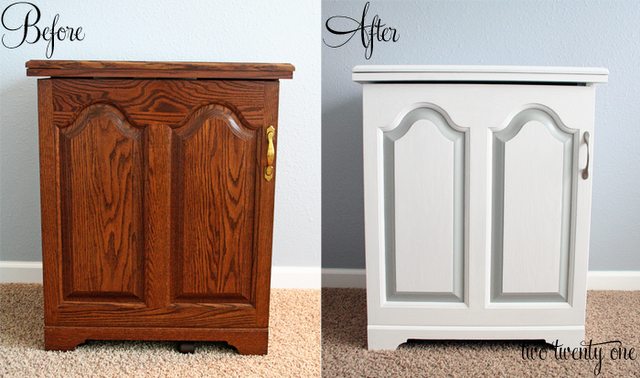 I hope my grandma would be happy with how I updated her beloved sewing cabinet. She was a very vocal woman, so I’m sure she wouldn’t hold back her opinion. 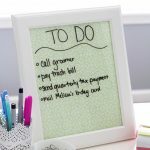 Check out more about my home office/craft room, including the makeover and a bunch of DIYs, below! It looks awesome. I particularly love the grey Details. Ice never used the additive For brush strokes but it sounds awesome. What a great and useful piece. Amazing makeover! Love the jars stilled with string! You did an amazing job with this makeover! It looks great and I love the decor on top! Great job–I love it! I really hate painting furniture . . . between projects, I forget how much I hate it and then it all comes back to me when I start the next painting project. It looks wonderful! Wow, it turned out so cute! Love it! It looks great! I love it! I would love to find an old dresser and give it a makeover! 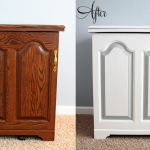 It’s crazy what a little bit of paint can do to really make a piece of furniture come alive! This is just adorable. I especially love the pink thread and print. Lovely job! How special to have your grandmother’s sewing cabinet… I bet she sewed up some wonderful memories with it! I think Grandma Mildred would love it…because it’s so you!! 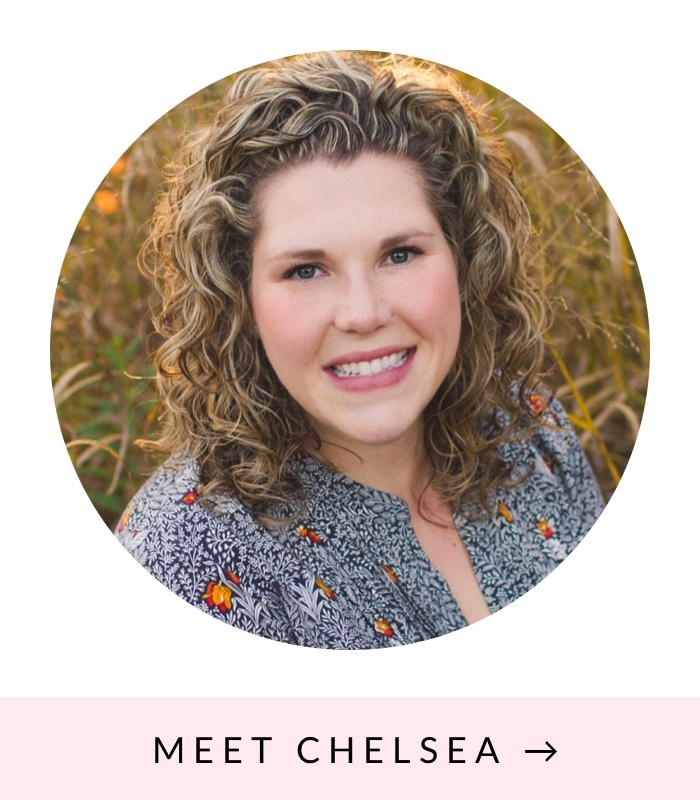 Wow, Chelsea! This is amazing. 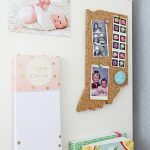 I’m about to tackle a laminate piece and I will definitely head on over to Katie’s tutorial for extra tips. Thanks! Also, thanks for stopping by my blog:) I’m your newest follower, because by the look of things- your blog is awesome! Wow, it looks so beautiful!! I absolutely love the colors you chose!!! Just gorgeous! You did a GREAT job! The gray is a genius touch – I love it so much! I think your grandma would be pleased that you love a treasured item from her. Adorable! 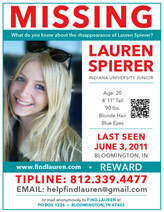 Stop by and link up if you have time! This is just so sweet!I would love it if you came over to link up at my party which is going on till Monday night! Great makeover!! So, glad you inherited your Grandmother’s jar and spools. My Mom is in the process of giving me a lot of my Grandmother’s things. 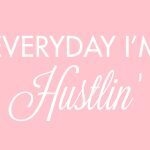 Stopping by from Serenity Now’s linky party and your newest follower here, FB and Pinterest. It turned out great…I love the new color! 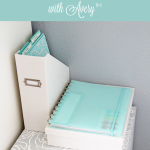 I also wanted to let you know I’m hosting my first giveaway…I’d love you to stop by & enter to win a My Memories digital scrapbooking software. Thanks! I think you did an awesome job! 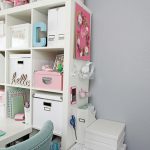 I’ve painted cabinets and furniture before and you’re TOTALLY right, It’s a way more lengthy process than you start out thinking! 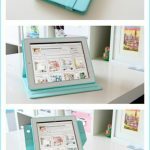 Now you just need a fab sewing project! Have you seen all the cool stuff with ruffle fabric? I want to try it but I’m scared. Maybe soon! what a wonderful makeover! 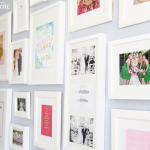 I’d love for you to share it at our linky party! This is a great post! 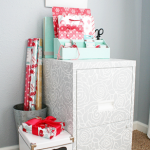 Your sewing cabinet is so cute! 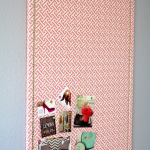 I have a lot of friends that love to sew and would love to make this cabinet! 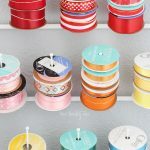 I’m having a linky party as well, and would love for you to join it! 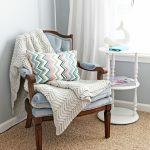 Here is the link http://www.thesouthernproductqueen.com/one-stop-s… Thanks for sharing! lovey pics!!! enjoyed your blog…! I love what you did with both the dresser and the sewing cabinet. I am definitely going to try this. Thanks! thank you, you are an angel ! 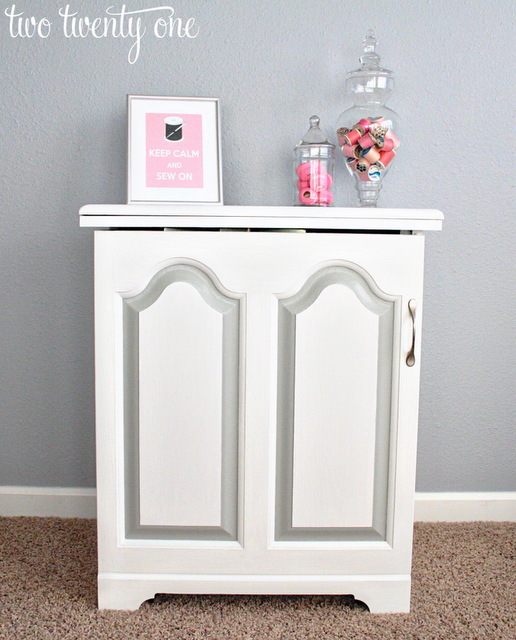 I am buying a cabinet but is soooooo outdated , I will be going to get the paint , primer… this weekend ! Loved the info about cutting down on brushstrokes with the paint additives. It is amazing how much that laminate looks like solid oak. Valuable information. Lucky me I discovered your web site accidentally, and I’m stunned why this accident did not took place earlier! I love how it turned out. I have had great success with spray painting. I am just sure to follow instructions and do light coats and dry between coats as specified. Then I let it dry in the heat of the garage for a few days before bringing in. 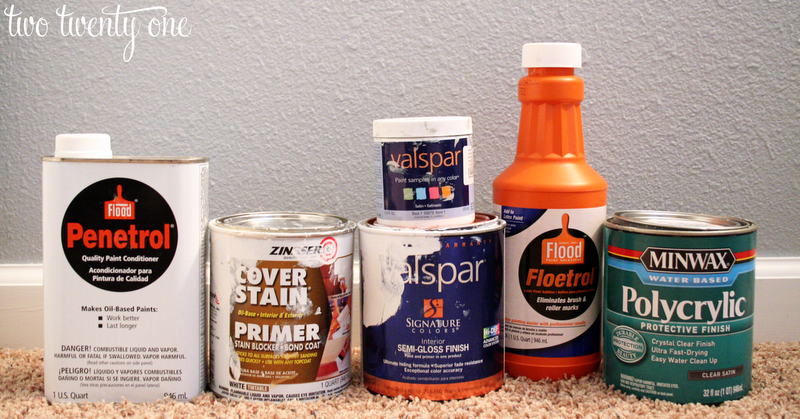 I use Rustoleum spray + primer. 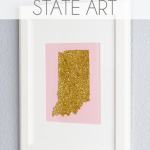 I painted all my old gold bath fixtures in our previous house this way using Hammered Bronze. Loved it. My most recent project, a drop down secretary desk I use as a vanity, I used Soft Iron Metallic (exterior) and Antique Silver Metallic (interior drop down) sprays. I am ready to start my new project: painting my old 1950’s dresser in Valspar Velvet navy for the guest room. Your project turned out fantastic. You ruined your grandmother’s sewing cabinet. So sad. Meh, that’s your opinion. I love how it turned out. AND it no longer smells like cigarette smoke. Have a great day! LOVE the cabinet!! I tried painting laminate bookshelves with a latex based paint… They looked great! But then the paint started to peel off; much like peeling a bandaid off 🙁 I used the same primer you did and Olympic brand paint. Any suggestions as to why it peeled? I am in the process of peeling all the paint off so I can start over. I’m also returning the paint back to the hardware store thinking it might be the paint…?? 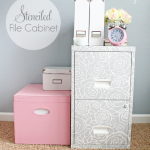 very pretty…nice job..wish I had a cabinet like that. The pic you show looks like oak or oak veneer. You say laminate, but I think laminate refers to melamine or Formica as is used on kitchen counter tops. Thanks, Pat! No, it’s actually laminate. Laminate is a man-made product that is actually ‘printed’ to look like it has woodgrain. Kind of like laminate wood flooring– it’s ‘printed’ to look like woodgrain but it’s not. Veneer is a thin layer of wood that is bonded to a less expensive surface below (particle board, MDF, etc.). If you used Annie Sloan paint and wax you wouldn’t have needed sanding priming or anything! It’s a really great option without any prep! I have used it on every furniture! I hope your Gandmother would be proud of your creativity and happy you didn’t just get rid of this beautiful memory because it didn’t blend well with your decor. The cabinet is beautiful and the memories of her sewing on it are still there. Your grandmother is smiling down on you and the beautiful job you did on her cabinet. To do the outside is one thing but you took it a step further and made it pretty on the inside as well. Well done! You should be proud! I hope you have a great week! What a lovely update to a treasured piece. I’m sure your grandma would have been thrilled that you found a way to keep her in your home. Thanks for sharing on Merry Monday! I love the makeover! What a beautiful way to update the cabinet! Wonderful makeover! Visiting you from The Scoop. It looks awesome! You did a great job painting it. The girl who said you ruined it is nuts. I bet your grandmother would love it. I wonder how the paint has held up? My son wants me to paint his white ikea bed black and aside from the monumental task that would be I’m worried how it would hold up, especially on the ladder. Any real world experience appreciated.